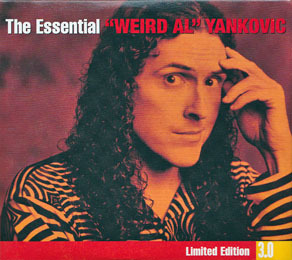 Obviously a reissue of The Essential "Weird Al" Yankovic, released the previous October. Sony Legacy's 3.0 series typically served to get previous Essential titles shelf space in "big box" retailers. Target, specifically, often features an Essential 3.0 display and promotion in its music/movies section. As per the norm for the 3.0 series, the original collection's jewel case has been replaced with an "eco-friendly" digipak, marking the first time an Al release had been packaged in one. 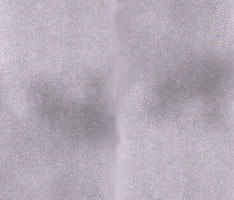 The digipak opens up gatefold-style in order to present the discs and booklet. The booklet is exactly the same as contained in the original Essential collection. The track information for the contents of the third disc is printed on the inside of the digipak. At the time of its release, it marked the quickest span of time a title in Sony Legacy's Essential series had been upgraded into a 3.0 reissue: just ten months...though in all fairness it should be mentioned that The Essential Aretha Franklin: The Columbia Years 3.0 was released on June 15, 2010, strangely four months before its standard two-disc edition! Released in Australia and the United Kingdom on February 25, 2011 and in New Zealand on February 28, 2011. In the UK the album is only issued digitally (even though it was not released that way in the United States). Though the original Essential... collection did not chart there, this new version would appear on Austrialia's ARIA albums chart for one week, hitting #45. One way or another, twenty-two of the songs on this collection were released as singles in the United States, while twenty-three were made into music videos. Including alternate versions, here is the updated breakdown of how much exposure each studio album is given on this collection: "Weird Al" Yankovic has two tracks, In 3-D has four, Dare To Be Stupid has four, Polka Party! has two, Even Worse has four, UHF has two, Off The Deep End has three, Alapalooza has three, Bad Hair Day has five, Running With Scissors has four, Poodle Hat has five, and finally Straight Outta Lynwood has six. With the new additions, nine of the ten tracks from the first Greatest Hits album are included ("Addicted To Spuds" is the lone leftover), while still only six of the twelve tracks from Greatest Hits Volume II appear. CLICK HERE TO DOWNLOAD THE UK ISSUE! This page was last updated June 8, 2011. The Essential "Weird Al" Yankovic 3.0 ©2010 Way Moby/Sony Legacy.